Best of 2018 – Ten Free Apps for Elementary School Math Lessons – TC Net-Works, Inc. Math Learning Center offers ten free apps that are designed for teaching elementary school mathematics lessons. All of the apps are available in versions as free iPad apps, as Chrome apps, and for use in the web browser of any computer. 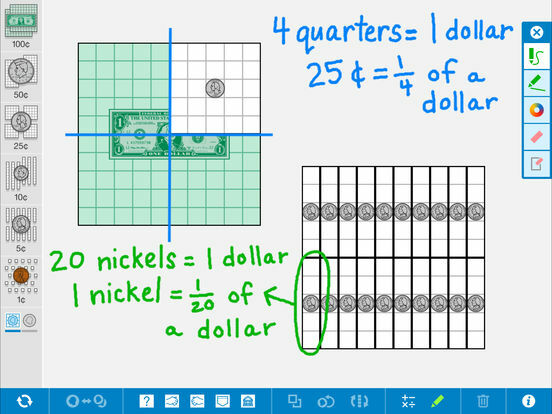 With the exception of the flashcards app, all of the Math Learning Center’s free apps are designed to provide you and your students with virtual manipulatives. By the way, the flashcard app is available in English and Spanish. Last week I included Math Learning Center’s Geoboard in my round-up of math resources. Geoboard is a good example of how all of the apps are intended to be used. 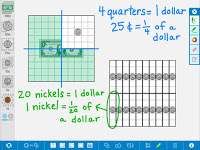 Geoboard is a free app on which students stretch virtual rubber bands over pegboards to create lines and shapes to learn about perimeter, area, and angles. Another app features US currency to help students learn to add and subtract money. The Pattern Shapes app is designed to help students recognize and develop patterns by moving colorful shapes into place.